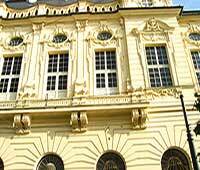 The regulation of lease of residential premises under Slovak law tends to be pro-tenant oriented. Most of the rights and obligations can, however, be agreed differently based upon the contractual freedom principle of the parties, and thus can deviate from the provisions set out in the respective law. 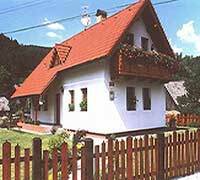 Rents: Can landlord and tenant freely agree rents in Slovakia? 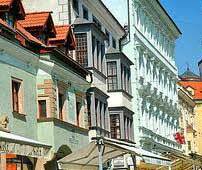 Slovak landlord tenant law distinguishes between regulated and non-regulated rents for residential premises. In general, rent regulation occurs where residential premises are built, obtained or financed from state or municipal funds. Their rent is regulated by a decree of respective ministry, but this regulatory regime will remain effective only until July 2007, after which a completely free rental market will be implemented. Otherwise (e.g. in case of flats owned by individuals, residents or non-residents), the rent can be set as well as increased freely without any restrictions, based upon the agreement between the landlord and tenant. The contract should also cover other situations, such as cost-of-living increases. Usually, services provided along with the use of residential premises are paid for together with the rent, unless otherwise agreed by the contracting parties in the lease agreement. The maximum deposit for rent is not limited by law, and is only subject to agreement between the landlord and tenant. What rights do landlords and tenants have in Slovakia, especially as to duration of contract, and eviction? The lease agreement can be concluded either for definite or indefinite period of time. Based upon the contractual freedom principle, the duration of the lease agreement can be agreed by the contracting parties at their discretion. The lease shall cease to exist based upon the written agreement between the landlord and tenant or a written termination notice whereby, the lease shall end by expiration of the notice period. In the event of an agreement concluded for definite period of time, the lease ends also by expiration of the rental period without requirement of providing any notice by either of the contracting parties. The landlord may terminate a lease agreement (for either a definite or an indefinite time period) by providing three months written notice (the landlord may designate a longer notice period and under some special circumstances, i.e. objective material need of the tenant, the notice period must be extended by another 6 months). The landlord may however terminate a lease agreement only for express reasons set out in the law; for example if the tenant or a member of his household damages the premises in gross manner or if the tenant breaches his obligations in material way, in particular by failing to pay the rent for more than 3 months, etc. The tenant may submit a three months termination notice for any reason or even without one. In both cases (whether the agreement is terminated by landlord or tenant), the notice must be in writing and be served upon the other contracting party. The lease ends once the notice period expires. The beginning of the notice period however differs depending upon which of the contracting parties terminates the lease. Where the landlord terminates the lease agreement, the notice period begins on the first day of the month following the month during which the notice was delivered to the tenant. However where the tenant terminates, the notice period begins the day after delivery of the notice to the landlord. Negotiation of conditions (i.e. shorter notice period, etc.) different from those provided for in the law is however admissible. Where the lease agreement has been concluded for indefinite time period , the t enant is protected by the principle he cannot be left without housing, and he must be provided with alternative accommodation if he is being evicted, unless stipulated otherwise by respective law. This, in certain cases stipulated by law, applies even if the lease was terminated by a landlord who is entitled to do so (and thus the reason for eviction of the tenant was given), and even if failure to pay the rent on time, or other breaches of the lease agreement the tenant, were the cause for the termination. The tenant is in general not obliged to vacate until appropriate housing compensation has been secured unless stipulated otherwise by law. The law states what type of housing compensation (i.e. compensatory flat, compensatory accommodation, shelter) must be provided to the tenant, following the termination of the lease agreement. As to the definite period lease agreements, the tenant is not entitled to be provided with the alternative accommodation unless the lease ended prior to the end of the rental period due to the tenant being not able to use the premises for reasons attributable to the landlord or a third party. How effective is the Slovak legal system? The obligations of the tenant are stipulated by substantive law, in particularly the obligation to vacate the premises and to pay the rent to the landlord, and are also safeguarded by procedural law. The landlord may file an eviction action if the tenant refuses to move out of the flat. Should the tenant fail to pay the rent within a given time period, it is possible to sue him, and to petition the court to bind him to pay the rent. One can however expect procedural delays. Should the tenant fail to meet the conditions stated in the court's enforceable judgment/payment order, the landlord may turn to an executor to enforce his rights. Landlord - tenant issues connected with the lease of residential premises are regulated by the Slovak Civil Code, which has been effective since April 1964. This regulation basically covers all residential premise leases, and yet also respects particular specific features of the legal regime of certain types of apartments such as business flats, flats for special purposes for invalid persons, etc. During the time of communist regime, no legal regulation regarding the lease of flats existed and in general all residential premises were owned by the state. The regulation of lease of residential premises is rather young and has been implemented only in 1992 by a major amendment of the Civil Code. The provisions of Civil Code on lease have not been changed or amended since July 1997 when a small modification of housing compensations was adopted. How high are estate duties in Slovakia?